American pop rock band Maroon 5 have been confirmed as 2019 Super Bowl halftime show headliners along with rappers Big Boi and Travis Scott. The band will be performing live in Atlanta on February 3 at the 53rd Super Bowl and the 49th modern-era National Football League championship game which will decide the league champion for the 2018 NFL season. It is one of the biggest gigs in the world and more than 100 million people will tune in to watch the event. 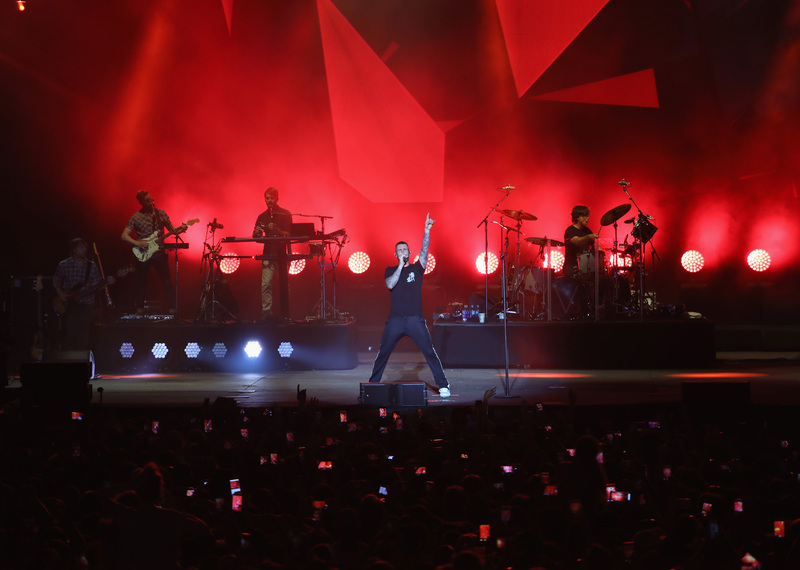 Maroon 5's decision to perform isn't without controversy and the response to the announcement wasn't exactly what they had hoped as more than 84,000 fans signed an online petition to pull out of the show. There have been calls for the band to pull out because of the NFL's stance over some players refusing to stand when the US national anthem is played. "Kaepernick risked his career to take a knee for equality, and the NFL punished him for it," the petition at Change.org reads. "Until the league changes their policy and support players’ constitutional right to protest, no artists should agree to work with the NFL." The Super Bowl half-time has hosted artists like Beyonce and Lady Gaga. However, it is believed that Rihanna and Cardi B have refused to perform at the show. According to the Guardian, Rihanna has reportedly turned down the opportunity to perform at the show as she supports Colin Kaepernick, the former San Francisco 49ers quarterback, who has been exiled from the NFL because of his decision to kneel during the national anthem. Earlier, Jay-Z had turned down a request to perform at the 2017 Super Bowl and even addressed the controversy in his 2018 song 'Apesh*t' saying, "I said no to the Super Bowl: you need me, I don't need you. Every night we in the endzone, tell the NFL we in stadiums too," as the music video shows a line of men on one knee. Since 2016, a handful of American football players have refused to stand when the US national anthem is played at NFL games to protest against the treatment of black people in the US. President Donald Trump was unhappy with the protests and called for the players to be "sacked" if they disrespect the national flag. The NFL announced in May last year that players will be fined if they kneel down National Anthem. While Marron 5 and Big Boi have already announced their presence at the Super Bowl with a video on social media, Travis Scott is yet to confirm if he will be performing on the big night. The 53rd Super Bowl will be broadcast from Atlanta on February 3 by CBS from Mercedes-Benz Stadium.